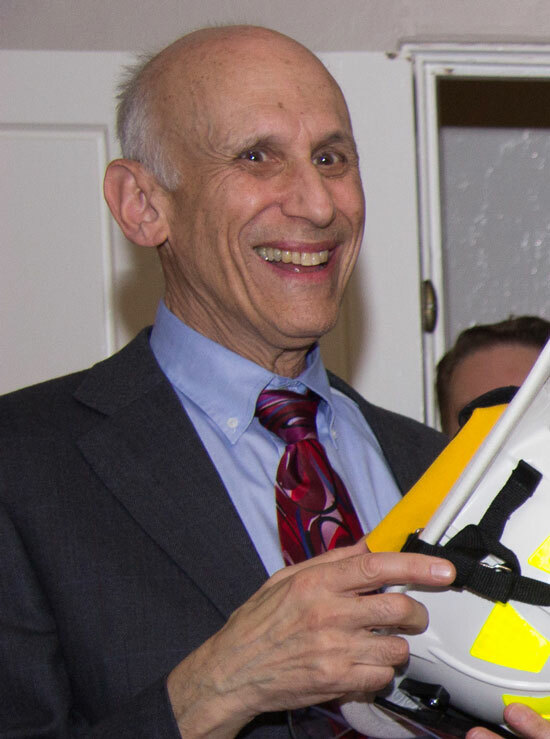 Described as a person whose name is synonymous with Moraga and community service, Fred Weil has been named the 2019 Moraga Citizen of the Year. Some of Weil's many public service contributions have included serving on the Moraga-Orinda Fire District board, the Moraga School District governing board and the Acalanes Union High School District governing board. 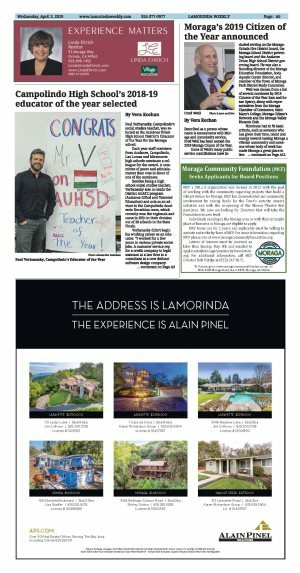 He was also a founding director of the Moraga Education Foundation, Soda Aquatic Center director, and member of the Town of Moraga Park District Study Committee. Weil was chosen from a list of several nominees by 2018 Citizens of the Year Sam and Susan Sperry, along with representatives from the Moraga Chamber of Commerce, Saint Mary's College, Moraga Citizen's Network and the Moraga Valley Kiwanis Club. 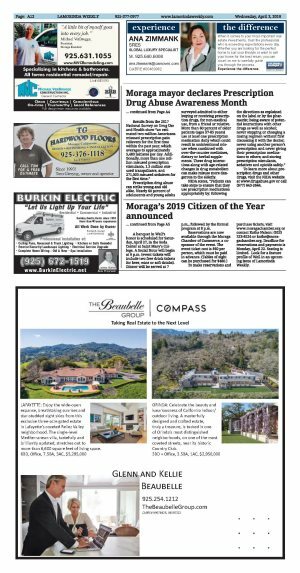 Nominees had to fit basic criteria, such as someone who has given their time, talent and energy toward making Moraga a vibrant community and someone whose body of work has made Moraga a great place to live. A banquet in Weil's honor is scheduled for Saturday, April 27, in the Soda Center at Saint Mary's College. A Social Hour will begin at 6 p.m. (event tickets will include two free drink tickets for beer, wine or soft drinks). Dinner will be served at 7 p.m., followed by the formal program at 8 p.m.
To make reservations and purchase tickets, visit www.moragachamber.org or contact Kathe Nelson: (925) 323-6524 or kathe@moragachamber.org. Deadline for reservations and payments is Monday, April 22. Seating is limited. Look for a feature profile of Weil in an upcoming issue of Lamorinda Weekly.